Porter, a dark, medium-bodied English ale style that was THE drink of 18th century Britain, almost went the way of the Passenger Pigeon in the 20th, when lighter, industrialized lagers captured much the beer market here and, to a lesser extent, in the UK. Fortunately, the craft beer movement of recent decades has resurrected the style, albeit in varied versions (and in fairly small quantities), which, at its best, offers Stout-like complexity on a lighter, highly drinkable frame. In writing my recent Rural Intelligence piece on Chatham Brewing Company (CB), a Columbia County, NY nano-brewer of artisanal ales, I came across near Porter perfection. On a road trip to CB’s back alley location in the Village of Chatham, I tasted a Porter sample fresh from keg during its Saturday “growler” hours. The quality was immediately apparent: a creamy head with some smoky complexity and a persistent finish. And while I liked most all of CB’s current offerings — in particular the OC Blonde, the IPA, the Amber and the Scotch Ale — I left with a growler of Porter. A day later, back at the ranch, I poured a glass from the growler, for more studied contemplation. The Porter had traveled well, fully retaining its freshness. An opaque, dark black-brown, it had a creamy tan head, with complex, smoky notes of roasted coffee and cocoa. Balanced with a touch of mid-palate sweetness and a lively mouth feel, this is a highly drinkable take on an under-appreciated style. Given the style’s dark color and full flavor, it’s understandable that many consider it a cold-weather brew, but CB’s version has such a “drink me”, sessionable quality that it could easily be quaffed any time of year. One of the first beers Chatham ever produced, its award-winning Porter still hews to the original recipe. Over time, both professionally and privately, vino has crowded out much of my (former) beer consumption. But I still appreciate good suds — after all, I cut my imbibing teeth studying and working in the Bierlaender of Germany and Belgium — and thoroughly enjoy the occasional beer assignment. And, to paraphrase “the most interesting man in the world”, I don’t always drink beer, but when I do, I prefer Chatham Brewing Porter. 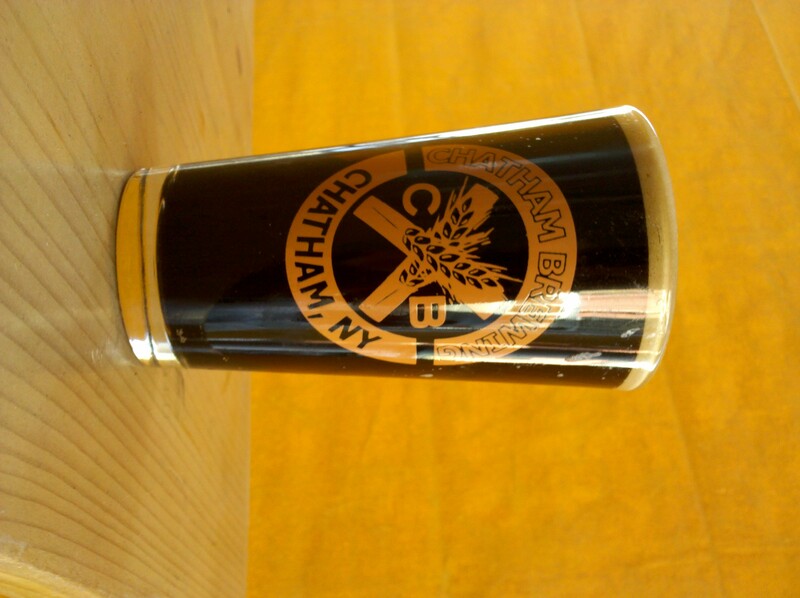 This entry was posted in Beer + Cider and tagged Chatham Brewing, Porter, Rural Intelligence. Bookmark the permalink.